Get to know the supplemental storage space of old that's making a comeback—and how it could benefit your home's layout. There are some old-house features we sorely miss in today’s construction—transom windows, vestibules, and sleeping porches, to name a few. One such old standby that we’re lucky enough to see making a comeback is the butler’s pantry. Indeed, both new home buyers and remodelers are placing this hallmark of Victorian England and Colonial America on their “wish lists” for modern floor plans—and with increased interest in at-home entertaining, it’s easy to see why. Traditionally, a butler’s pantry was the narrow room adjacent to the main kitchen used to store serving pieces, delicate china, crystal, and most especially, silver, which was often kept under lock and key. The very name comes from the fact that, in Europe, a butler often slept in the pantry to guard these valuable possessions! Starting with the Victorian era, most English and many European homes were built with both a butler’s pantry and a traditional food storage pantry, also known as a larder. A third type of room, the scullery, typically included a sink and was used for both washing up and preparing messy foods. Colonial Americans adopted the use of multiple pantries, although, in parts of the country where space was at a premium, these pantries often were rather small and may have only consisted of wooden cupboards dedicated to different functions. Many Victorian, Colonial, and other historical homes still in use today maintain a dedicated space for a butler’s pantry and a food storage pantry, although some of these have actually been converted to use as laundry rooms. Most modern and contemporary homes built in the past decades eliminated this handy space, however, in favor of great rooms, open floor plans, mud rooms, and other similar locales. If the space hasn’t been repurposed for a task altogether unrelated to dining and entertaining, the butler’s pantry has still had a shift in priorities. These days, since most of today’s homeowners don’t have butlers to keep track of silver and serving ware, the butler’s pantry serves as more a refuge than a vault. Its countertop surfaces make it an appropriate “staging area” for serving meals—providing a place to plate meals or even rest dishes between courses. For many homeowners, the butler’s pantry even doubles as an extra food preparation area, to keep most or all of the mess out of sight. Undeniably, one of the biggest selling points for this auxiliary storage space is how much it can contain. Homeowners with an abundance of kitchen appliances—more than what can be used every day, but none so infrequently that they can be weeded out—can relocate the extras to these off-the-kitchen cabinets. 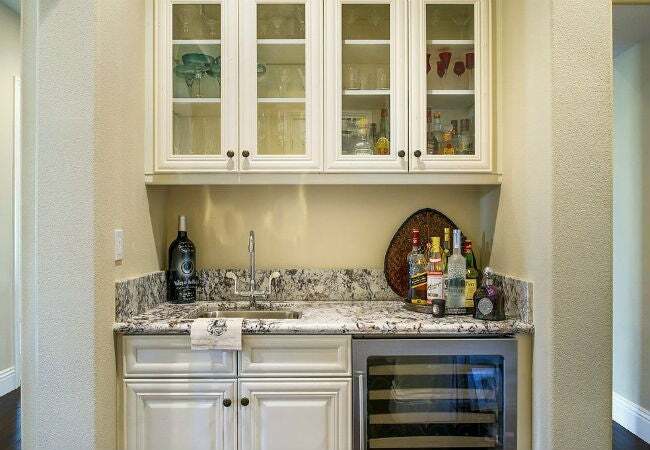 Similarly, cabinets and shelves can become dedicated storage for bottles and glasses, turning it into a home bar. 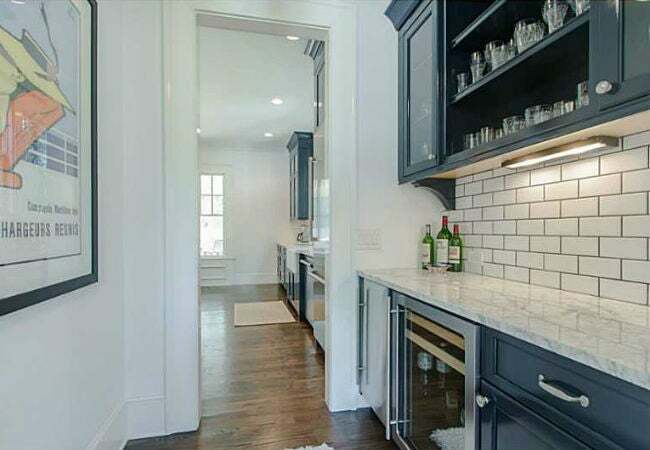 The resurgence in butler’s pantries can be attributed to several factors, at the top of which are the rise of home entertaining and the concurrent move towards more open floor plans and great rooms. These simultaneous trends often force busy cooks to do their work in full view of the guests—and not everyone wants themselves or their food prep to be on display. 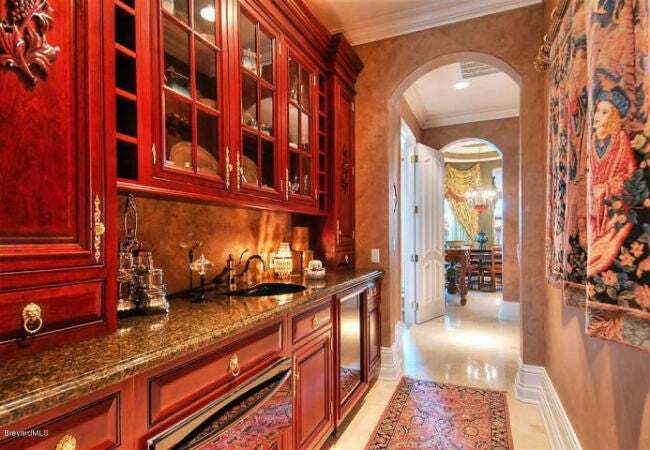 Enter the butler’s pantry, which can serve as a valuable buffer zone between the kitchen and dining areas. 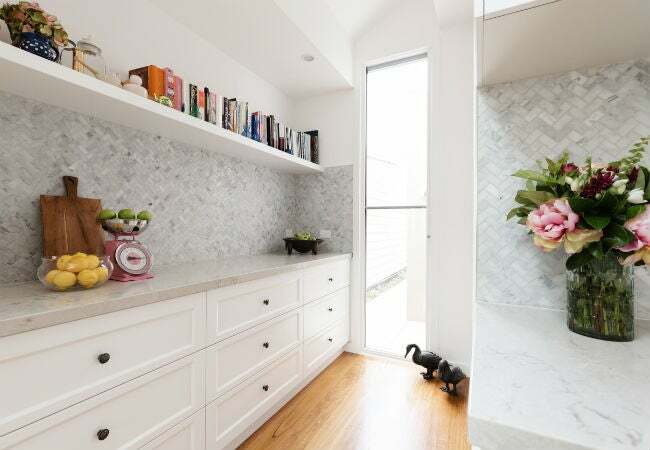 Generally hidden by a door, it offers just enough privacy for hosts to keep the food prep mess out of sight without detracting from the spaciousness of an open kitchen. Moreover, it offers invaluable storage for households who can’t cram dried goods, cookware, and serving ware in the existing kitchen’s cabinets or open shelving. 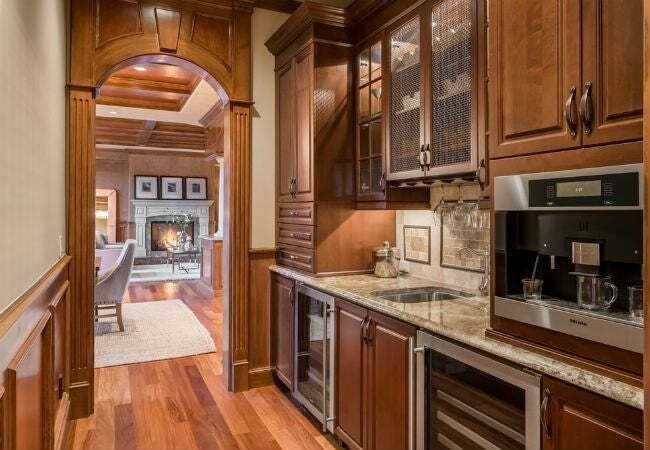 A butler’s pantry can be located in any space adjacent to the kitchen, although it is typically situated somewhere between the kitchen and dining room. Even small areas such as an under-used closet, mud room, breakfast nook, transitional hallway, or corner space often can be repurposed into a butler’s pantry. 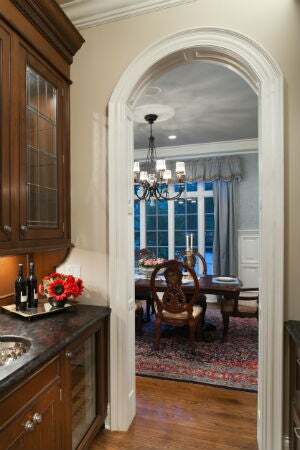 If your nook isn’t already closed off by a door, clever remodelers use pocket doors or bi-fold doors to create a hidden alcove for a butler’s pantry without eating up as much working floorspace as a standard door would when it swings open. Cupboards and drawers. The traditional use of a butler’s pantry was for storage, and who can pass up more of that? Make your modern version help accommodate those specialty items that you don’t use on a daily basis, including—but not limited to—fine silverware, serving utensils, china, linens, and candles. Countertops and shelving. If you’re looking to use your butler’s pantry as a staging area for the meal, you want to make sure to have adequate counter and shelving space to accommodate the dishes before transferring them to the dining room. Using open or adjustable shelving will provide greater versatility and help you maximize your space. Power outlets. In addition to serving ware, the butler’s pantry is a great home for seldom-used small appliances that would otherwise clutter up your streamlined kitchen. Having adequate numbers of power outlets ensures that these devices are ready to use when you need them. Cold storage. A mini fridge, wine chiller, or even a small cooler can help keep plates chilled and perishables cold while you prepare the meal. Hot storage. Similarly, a hot plate, cooktop, or warming tray can keep your food warm as other meal items are finalized or courses are eaten. Adequate lighting. A combination of bright ceiling lights and focused task lighting will ensure that you can see well enough, whether plating the meal or polishing silver once a year. If you have a larger space, some optional features you might want to consider include a fully-plumbed sink and/or dishwasher; wet bar; microwave; auxiliary fridge; freezer; cooktop; warming oven; wine chiller; and even some form of seating. Understandably, costs can vary widely depending on how much renovation is required, what amenities you include, and the type of materials you select. Whether you plan to outfit a small or large space for this role, keep this in mind: The butler’s pantry is designed to be a private space, not a public one. Of course, design to your heart’s content, but homeowners minding a budget may be able to save some money on construction by using more basic materials than you would typically use in a kitchen. Substituting a high-quality laminate for granite countertops, for instance, or IKEA cabinets instead of something more custom can lower the total bill. Just be sure to choose durable materials, because this is a space that should be useful and functional. Beyond just the materials, you will likely need to include cost estimates for construction labor and other expenses into the project’s budget. Running new plumbing or electricity, for example, will require getting bids from and hiring a professional contractor. Fortunately, since so many of the features in a butler’s pantry are a la carte, you can incorporate as few or as many of the bells and whistles as you like. 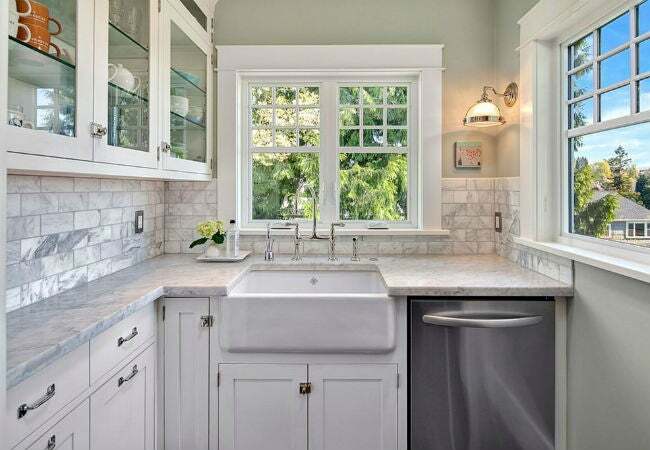 Weigh how much you’d value that secondary sink, dishwasher, or wine cooler; then, if you deem it important enough to keep in the plans, price it out in your budget as well and see if you need to trim elsewhere. With these guidelines in mind, you can add a practical, efficient and desirable butler’s pantry, even in existing homes. Just don’t expect it to come complete with an English gent named “Jeeves”—for that, you’re on your own!